My kids have always loved reading historical fiction, add in a little time travel and that makes them even better. 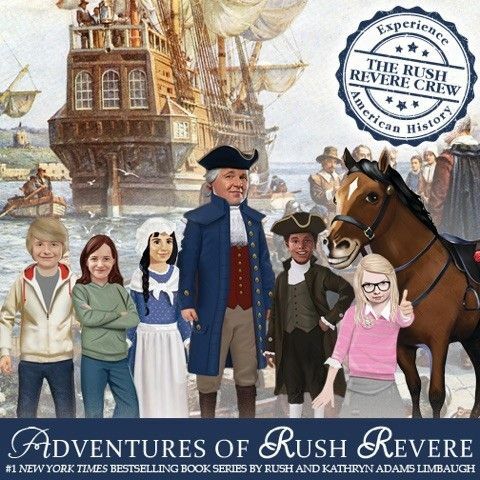 We had heard of the Adventures of Rush Revere Book Series but we hadn't read any of them until we received them to review from Adventures of Rush Revere #1 New York Times Bestselling Book Series by Rush and Kathryn Adams Limbaugh. Rush Limbaugh and his wife Kathryn Adams Limbaugh have written five books in the Rush Revere series. They are recommended for children ages 8-12 and they take us on a time-traveling adventure when we go rush, rush, rushing to history. The stories are about a substitute American History teacher with a time traveling talking horse named Liberty. Rush always dresses in historical costume to get the children more excited about history and so he is appropriately dressed when he rushes back in time. Each time they time-travel Liberty will announce "Rush, rush, rushing to history". A circular portal of swirly purple and gold opens up and someone will announce the place and date they want to travel to. After going through the portal they are back in time and we get to meet real people from American History. When we received our package we were immediately impressed that this company pays attention to detail and wanted to make our package a little extra special. 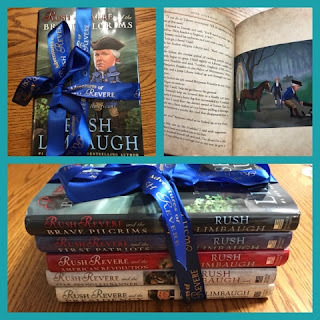 Our books arrived tied in a Rush Revere blue ribbon. Each book is hard bound with 200-250 colored glossy pages that are tinted brown to look like old parchment paper. There are colored pictures of the characters of the book, photos of people from history, landmarks, maps, documents, and artifacts. Not only do the books contain real information from history but they are also very pleasing to look at and fun to read. 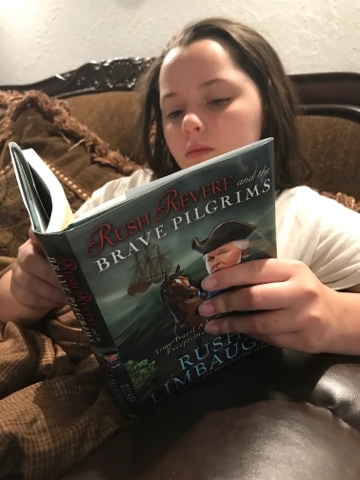 Rush Revere and the Brave Pilgrims is the first book in the series. Rush Revere's real name is Rusty but all his friends call him Rush Revere because he loved history so much when he was in school that he would rush to class and he is a big fan of Paul Revere. 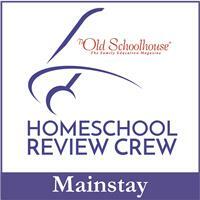 In this book, we travel back in time to be on board the Mayflower in 1620. 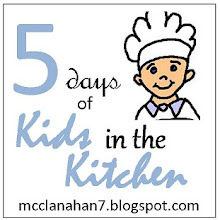 We get to experience what it was like that first winter, join in on the first Thanksgiving, and meet William Bradford, Myles Standish, Squanto, Massasoit, and other great people. We really liked the pictures in this book the cutaway of the Mayflower, the labeled maps, and the artifacts really help kids see history. Rush Revere and the First Patriots take us to 1765 before the start of the American Revolution. We are introduced to great men that defy British rule and stand up for liberty. Not only do we meet great Americans like Benjamin Franklin and Paul Revere we also travel to England and meet King George III. Rush Revere and the American Revolution is the third book in the series. 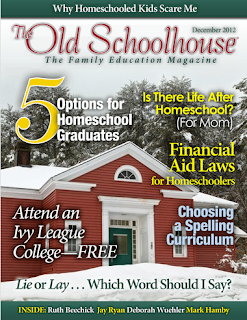 Liberty takes us to the year 1775 and we get to see the two lanterns hung in the Old North Church experience battles and the midnight ride of Paul Revere. We get to meet George Washington when he was the commander in chief of the Continental Army, and witness the signing of the Declaration of Independence. This book also helps Cam, one of the time traveling students, understand why his dad is off fighting in Afghanistan in the twenty-first century. Rush Revere and the Star-Spangled Banner starts by taking us to 1787 to witness the debates over the Constitution and the Bill of Rights and then to 1814 to defend our liberty. Of course, we are introduced to Betsy Ross in this book along with Francis Scott Key. One of the time traveling kids named Tommy has a grandfather that is ill, to take his mind off of his grandfather Rush plans to take Tommy and some of the other kids on a field trip to Washington DC where they visit The National Mall, the Washington Monument, and the National Archives. 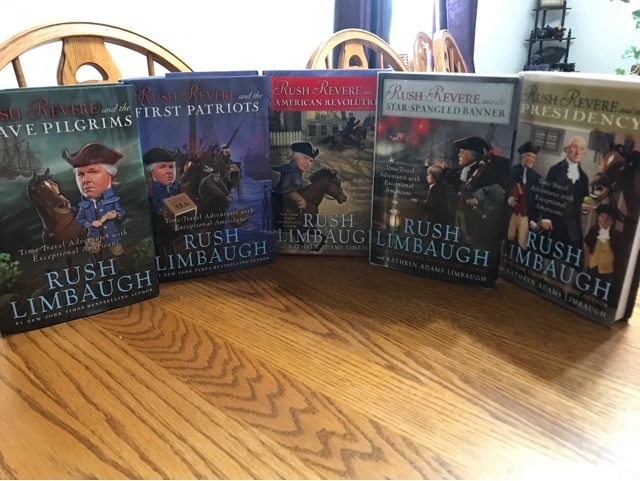 Rush Revere and the Presidency is the fifth book in the series. Cam is one of the time-traveling students in Rush's history class. He wants to run for student-body president so Liberty takes them back in time to visit past Presidents and the first ladies. Cam soon realizes that being president is more about serving others than about glory for himself. Some kids think history can be boring, but the Rush Revere books are a fun way for students to learn history. 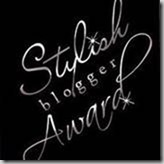 They are fun, full of true facts about famous people, places, and events. Since none of us had read any of these books I decided to read one out loud. I let Alaina choose which one and she wanted me to read Rush Revere and the First Patriots and now she is reading the rest of them herself. She loves humor in books. She can remember the funny details of any book, movie, or conversation and then that helps her remember the other details that she also learned.